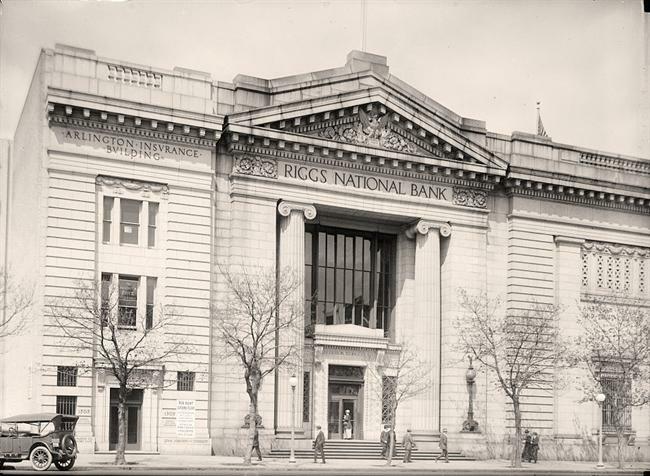 For over a century, the Riggs National Bank was the largest bank in Washington, D.C. Its headquarters at 1503-1505 Pennsylvania Avenue NW was right across the street from the Treasury Department, a few hundred feet away from the White House. The bank loaned the US government $16 million in 1847 for a war against Mexico and $7.2 million in 1868 for the purchase of Alaska. Fourteen US presidents of their families had banked at Riggs, including Abraham Lincoln and Ulysses S. Grant. With branches throughout the US, England, Germany, and the Bahamas, Riggs specialized in “private international banking” for wealthy clients and “embassy banking” for 95 percent of the foreign ministries and embassies located in Washington. Throughout Latin America the Riggs National Bank was known for bribing entire legislatures, destabilizing democratic regimes, and financing right-wing military coups that were disguised as “revolutions,” on behalf of the United Fruit Company. The Riggs bank was finally closed in May 2005, after it was caught laundering money for Chilean dictator Augustín Pinochet. 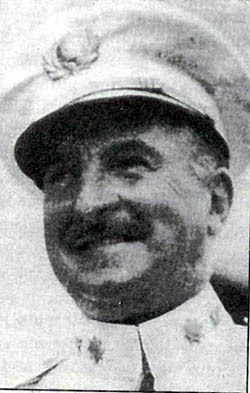 In 1934, shortly after Pedro Albizu Campos and the Nationalists joined the leadership of the sugarcane strike, a naval intelligence officer named E. Francis Riggs was sent down as the new Puerto Rico Chief of Police. He was the overseer of US banking investments in Puerto Rico…the heir to the Riggs National Bank. It was Police Chief Riggs who ordered the murder of three Nationalists on October 24, 1935, in what became known as the Rio Piedras Massacre. It was Riggs who held a press conference immediately after the Rio Piedras Massacre, to declare “war against all Puerto Ricans” in front of all the journalists. Another serial killer of Puerto Ricans. “The Riggs National Bank” …. E. Francis Riggs …. declared “war against all Puerto Ricans”!! Take a look …. no good here! !